What is the one most common piece of advice established authors give aspiring ones? It’s not ‘show, don’t tell’ or ‘kill your darlings’. It’s ‘read more’. 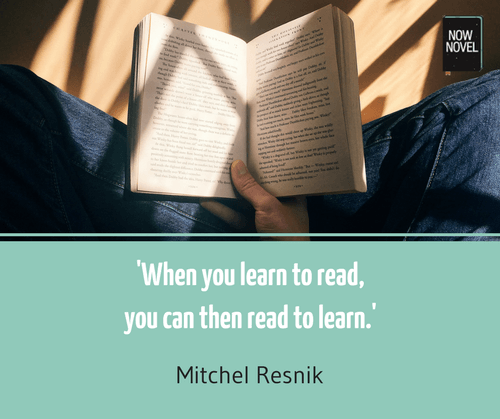 Reading as much as you can helps you learn how to write as you read. 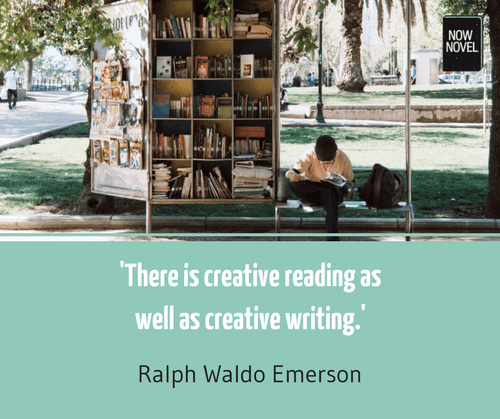 All writers should read widely both within and outside of their genres. It pays to read contemporary books alongside classics. Why? Because we meet characters from different eras. Characters who have different world views to our own. We can’t stroll down the street for a chat with a Victorian gentleman in a top hat. But we can find him in a Dickens novel (even if we’re surprised by just how much like us he is in his goals, hopes and fears). You get the idea. Think of the task ahead like planning balanced nutrition. You’ll grow your ability to move between eras, characters and styles of writing with greater ease. When you read in your favourite genre, note the common genre tropes authors use. A trope is an significant or recurring theme or motif in fiction. Does the author simply reproduce tropes (e.g. ‘the chosen one’ who must save the world) or subvert it (i.e. do something unexpected with it). For example, in Jean Rhys’s novel Wide Sargasso Sea (1966), she tells the story of the hidden ‘madwoman’ in the attic in Charlotte Brontë’s classic Victorian gothic novel, Jane Eyre (1847). By knowing the story well, and the genre, Rhys is able to draw on elements of the novel and its shortcomings (its treatment of madness as something to hide) and write her own powerful novel that talks back to some of Brontë’s narrative choices. How does this book fit into my genre? Does it reinforce cliches or does it break new ground? How? How is the book regarded within the genre? Do you agree or disagree with the majority of readers’ assessment of it? Why? Reading diverse authors is an excellent way to learn structure. This is key when tackling a longer form like a novel or short story collection, because structure makes it easier to follow a story’s many threads and piece the narrative together. As you read, notice at what points the author builds suspense and creates conflict. Does the author do so successfully, or not? If not, what weakens the suspense or conflict? Perhaps their sentences are too long. Or else they build up to a climax but then start loading on distracting subplots. Here’s an exercise that will teach you a great deal about structure. You can do this exercise with any book, but it is best approached with a book that is not only in the same genre as yours but similar to yours in other ways as well. For example, if you are planning to write a murder mystery from multiple viewpoints, choose a murder mystery written from multiple viewpoints. You should also choose a book that you have already read and feel has a strong structure that you can learn from. You will need to take notes for this exercise to be effective. Write a brief summary of what happens in each chapter. You may want to look at other aspects of the structure as well. For example, for the multiple viewpoint crime novel, note what chapters and sections are in which characters’ points of view. Note where the major plot points occur and how the author introduced them. Are they told via flashbacks and memories? Do they occur in the present time-frame of the story? 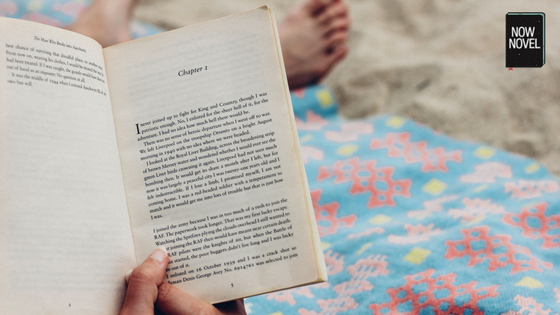 Note length – how many pages is the average chapter? Also note the relationship between length and tone and mood. What can you say about the shortest chapter (what is the most important thing it achieves for the story?) And the longest chapter? As with the structure exercise above, make a reading exercise to improve your writing by studying others’ character development. Are characters in the book you’re reading believable? Or do they seem like stereotypes? Are they underdeveloped? If so, how might the author have better developed them? By giving them clearer motivations? Or by giving us more details about their personalities, loves, fears? How does each character speak? Is the dialogue believable for the character’s age, social circumstances, intelligence, and the time and place in which the story is set? Does the author physically describe the character at all? If so, how is it done, and what does the visual (dress, movement, etc.) tell us about the person? Does the character have a backstory? Is the backstory effective in developing the character? What other techniques does the author use to reveal more about the character? For example action, the characters’ interactions with others, or their inner thoughts (AKA ‘internal monologue’). You can learn a great deal from examining how different writers use language. In other words, their style. Writers’ styles can vary from resembling poetry to clean, efficient prose, to workmanlike sentences that may lack grace but get the job done. In this example, from a chapter titled ‘The Nativity’, Roy uses rich metaphors blending the idea of the Christian nativity with the grubby reality of the city. The style is descriptively rich. Here, Hemingway describes the old man’s decision to not leave his equipment, risking theft. The prose is simple and clear, with minimal descriptive words. How do they tend to structure sentences? Are they mostly longer and complex, or brief and punchy? How is the style fitted to their subject matter and genre? What reasons are there for it to be this way? Do they focus more on visual description, character’s inner monologue, action, or other fictional elements? Is it skewed to one element or is there more of a balance? As an extra exercise, try this. Read over a page of a favourite author’s novel. Close the book and try to continue the story for the next two paragraphs. Reopen the book and compare your sentences side by side. How do they differ in length and structure? Tone and mood? Naturally, you’ll want to sometimes just read for pleasure and entertainment. Do it. Yet when you want to pinpoint areas of your own craft to refine, the ideas above will help. You’ll develop a reading practice that is like a carefully considered nutritional plan, designed to feed ideas.